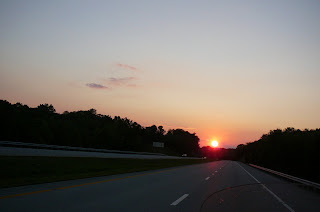 After a great day of riding it's always nice to have a beautiful sunset to finish the day. This is the backside of Halls. It has a large balcony that hangs out nearly over a small stream. 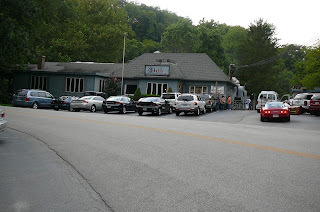 Halls on the River, a local favorite. This is Saturday night and cars are parked all along the highway and people are lined up waiting to get into the restaurant. 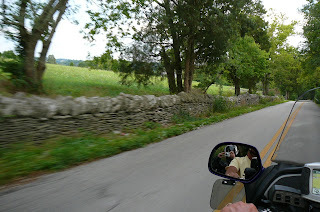 The area south and east of Lexington has miles and miles of stone fences that were built during the 1800's. 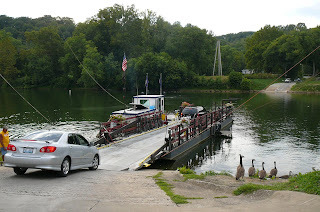 The Valley View Ferry. It is the oldest continually running business in the state of Ky. and dates to 1775. It may also be the oldest ferry in the nation. 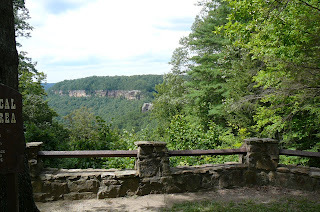 One of many lookout points in the Red River Gorge. Following a Harley through the tunnel. 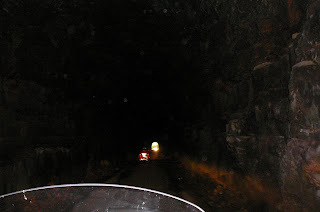 Approaching the Nada Tunnel, built in 1910. Looking up at Natural Bridge. Walking across the top of the sandstone arch. The road to Natural Bridge. Phillip and Jaime hitting the twisties. 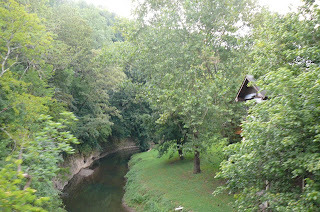 My Old Kentucky Home State Park, Bardstown, Ky.